Welcome to the Pee Dee Union Baptist Church website. Certainly, we thank God for inspiring you to pay us a visit. Pee Dee is a wonderful congregation which indeed has a rich history having been birthed almost 150 years ago. We are a church committed to sharing the good news of Jesus Christ with people everywhere. We are involved in ministry and outreach in our local community through such activities as supporting the local food bank, a food pantry for community residents. We seek to share the love of Jesus Christ in practical ways through our ministries. 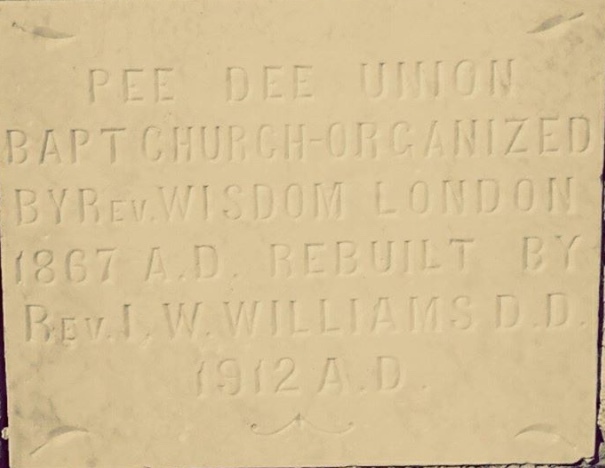 Pee Dee Union is a historic church with a strong legacy that provides modern day ministry that reaches people of all ages. The church is located in the downtown area of Cheraw, SC. Cheraw is located in the western Pee Dee Region of South Carolina which a little over an hour from Columbia, SC and Charlotte, NC. Join us for any or all of our weekly events. We look forward to seeing you.